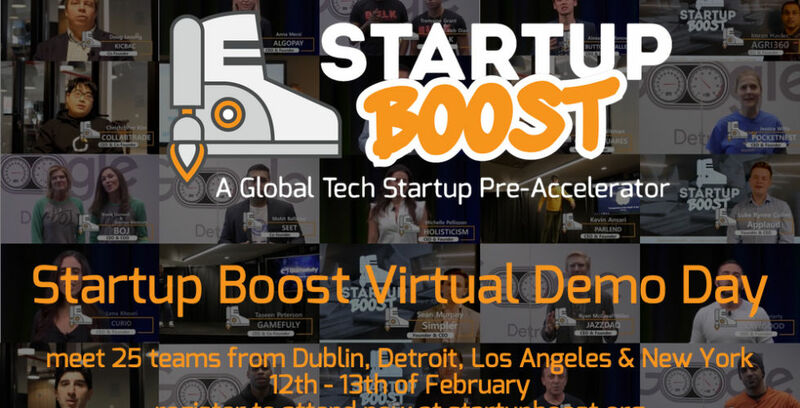 On February 12 and 13, 2019, Startup Boost, the number one global pre-accelerator program, will host a virtual demo day. What’s a virtual demo day, you may ask? Simple. It’s a demo day of pitches but this time the startups will pitch their ideas in an online, virtual environment. Investors and interested viewers can ‘tune in’ and watch what happens. 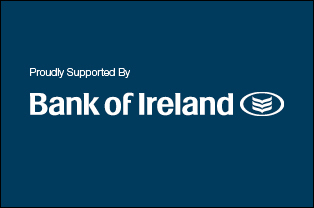 “For the upcoming virtual demo day, investors, accelerators and corporate businesses will be able to watch 25 pre-seed and seed tech startups pitching ideas in areas including health, fintech, AI, e-commerce and more,” says Startup Boost founding member, Gene Murphy. This is a first-of-its-kind demo day for a pre-accelerator. The virtual demo day gives investors, accelerators, and potential partners access to view pitches by Startup Boost’s Fall alumni. The alumni consist of 25 pre-seed and seed-stage tech startups from the Fall programs in Detroit, Dublin, Los Angeles, and New York. Viewers will need to register to join the 48-hour virtual event. Startup Boost, now in its second year, has helped to pre-accelerate over 80 companies from six locations around the world. The program is unique in that it doesn’t take equity or fees from startups. Top entrepreneurs, investors, and mentors come together to volunteer their time to work with these promising startups who stood out from a pool of over 1,500 applicants to gain acceptance into Startup Boost. For those wishing to apply to a program, applications just opened at startupboost.org/apply. Pittsburgh is officially launching its first program, which will join Los Angeles, NYC, and Toronto as programs running this Spring. Other programs running this Fall 2019 are in Dublin, Detroit, Chicago, Austin, and other yet-to-be-announced locations. “The purpose of Startup Boost is to help pre-seed investment teams make the next big step in an under-supported stage to prepare them for accelerators, investment and most importantly revenue generation,” says Gene Murphy. “The virtual demo day breaks down the geographical and temporal barriers of a traditional demo day, which gives more investors the opportunity to see our high quality teams, and in turn, allows the participants to reach an even wider audience,” concludes Murphy.